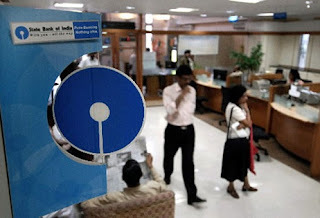 Indias largest bank, the State Bank of India (SBI) has launched a new facility for it's employees, which enables the employees of SBI to work from home. The board of SBI has recently approved this ‘work from home’ policy to enable the employees to work while at home using mobile devices to address any urgent requirement they may have, that prevents their traveling to work. The bank will be using mobile computing technologies and shall have continuous control over all the enabled devices centrally to manage and secure the data and applications on the mobile devices, the bank said in a statement in Mumbai today. The use of technology and services shall be monitored through carefully designed MIS and dashboard to enable improvements and refinements, it said. The bank said going forward cross-sell, marketing, CRM, social media management, settlement & reconciliation, complaints management applications will also be enabled to make the work from home services comprehensive and increase the employee productivity multi-fold.